As December comes around again, it’s time for my annual anniversary update post. I’ve got a lot to say this year, so I’m going to split the usual single post update into two. The first post will go over what I’ve done this past year, and the second post will talk about what I’m planning on doing next year. This year I continued my two-posts-per-week schedule from last year, but all poetry this time (no blog posts or short stories like last year). I placed a heavy emphasis on audio recordings, and uploaded a recording with every post to my main website, a second post with a recording to Tumblr, and a recording on SoundCloud. I also reopened my Patreon, and uploaded the poems and recordings to it. Additionally, I began regular visits to open mic nights in my area beginning in April. I did two of them nearly every month of spring and summer, with outings tapering off in the fall. These were mostly at the River City Blues and Darts Club and HB Lovedrafts in Harrisburg, PA, though I believe I was at the Harrisburg Midtown Arts Center’s open mic night a time or two as well. 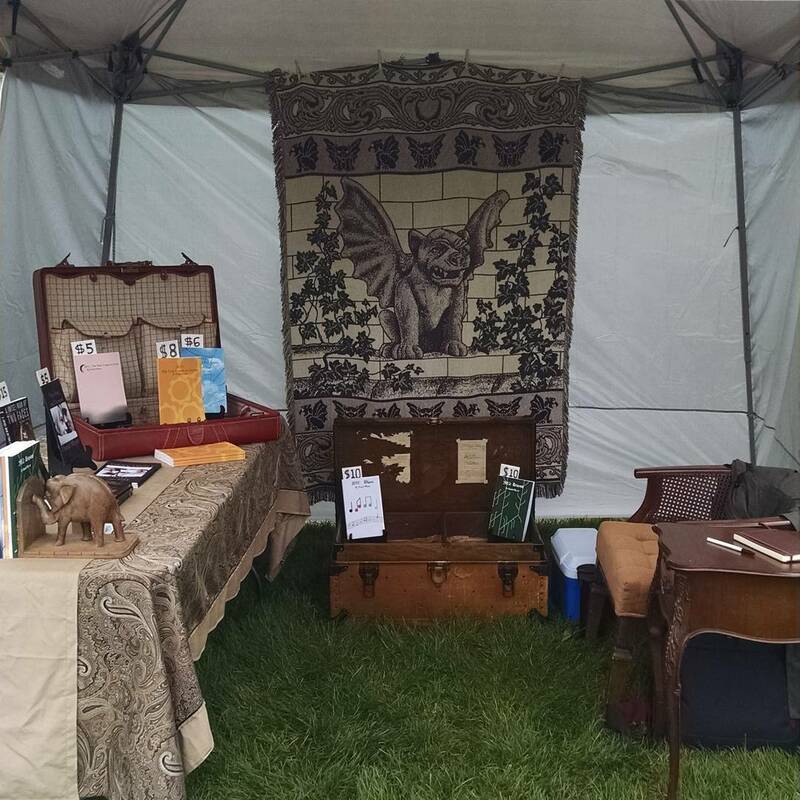 My goal for the year was to to finish republishing my first book, “A (Wise) Man of Two Faces”, using Amazon’s CreateSpace publisher, and publish three new books of my work: all of my 2014 writing, the 2015 poetry, and the 2015 blog posts. Unfortunately, I fell short of those goals. I ran into multiple significant issues with the 2014 book, and have yet to finalize and publish it – though it is close. I also did not complete any of the ebooks I meant to pair with these releases. However, I did manage to republish my first book and both of the 2015 books, which I have pictured below. They are available through CreateSpace and Amazon. 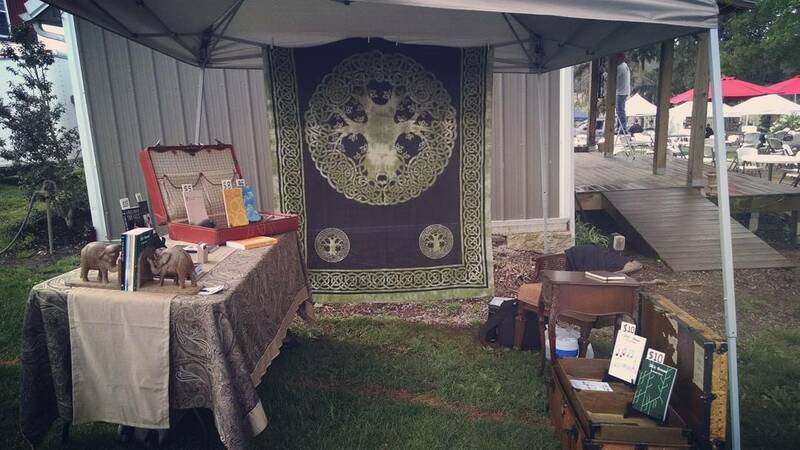 I also went to three local festivals/events as a vendor to sell my books – two in May and one in November. 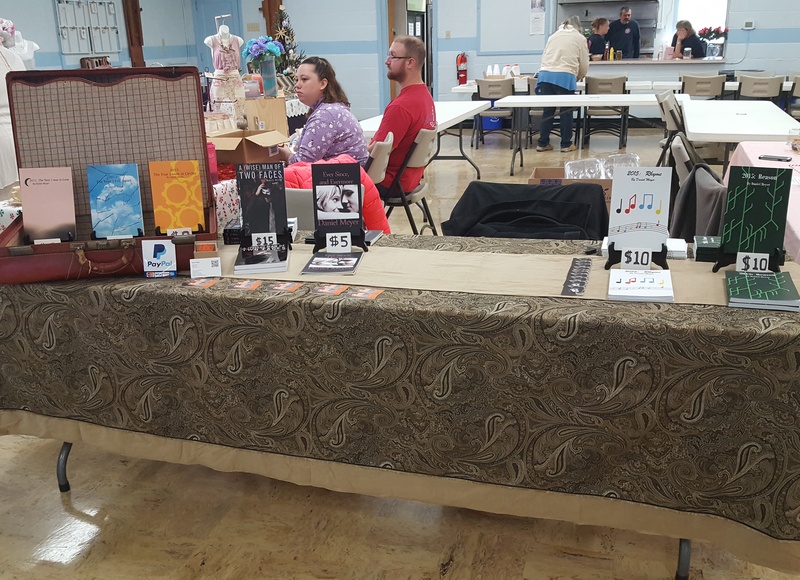 I was able to rush and get my new paperbacks done in time for the first two festivals, and I was able to bring the streamline my setup by the November event (pictured below). On top of all that, I worked on two freelance projects this summer in which I proofread and edited the dialog and script of visual novel-style video games. I haven’t gotten clearance from my clients to discuss the one project, but I do have it for the second – Invisible Apartment 3, released by Vysoko Anime Production. I’m including some game images and links below. You can follow their producer and developer on Twitter at @BunnyJessican. And between all of that, I had a very busy year – so I’m going to end the first part of my yearly update post. Check back later this week for the second installment – what I’m planning on doing with my writing going forward.